For the ultimate in geek chic, check out these LCD watches from Nooka. The Nooka Zub Zen 20 series of watches features a brightly colored rubber casing surrounding an deconstructed liquid crystal display of hours, minutes and seconds in bar-graph format. 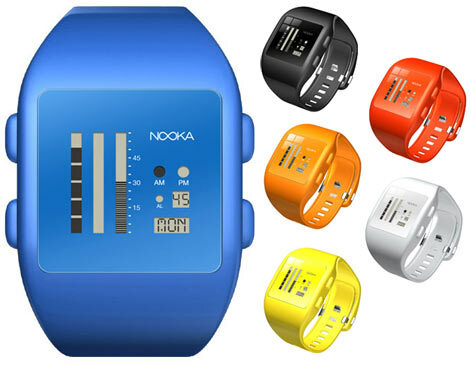 The watches come in six colors: blue, black, orange, yellow, red and white and run $125 USD each.